Stars: Miss Universe H’ Hen Nie and Anh Tuan will host the programme. HA NOI — An entertainment programme gathering famous artists in various fields will be broadcast on the first day of the Lunar New Year, which will fall on February 5. With the theme ‘Spring Celebration – Endless Inspiration for 2019’, the 90-minute show will feature inspiring stories of artists, athletes and celebrities who are successful in various fields such as music, sports, culture and entertainment. The programme aims to honour people who contribute to the development of culture and the arts. Stage performances, documentaries and music videos have been produced exclusively for the show. One is the documentary ‘Viet Nam Seen From the Sky’ directed by Le The Thang. It features beautiful landscapes from around the country. Highlights include a documentary on soldiers preparing for Tet on the Truong Sa (Spratly) Archipelago and music videos shot in the US and Europe featuring opera singer Ninh Duc Hoang Long and singer Vinh Khuat. 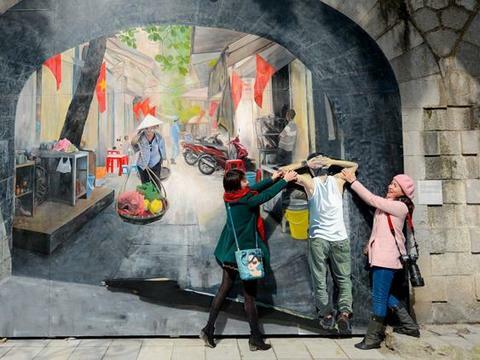 The art of bai choi (half game, half theatre performance) will also be broadcast, which was recognised as a world cultural heritage by UNESCO.